The Hellenic Center for Commerce Development (KAELE) is a registered center for professional education, working under the National Confederation of Hellenic Commerce (NCHC). 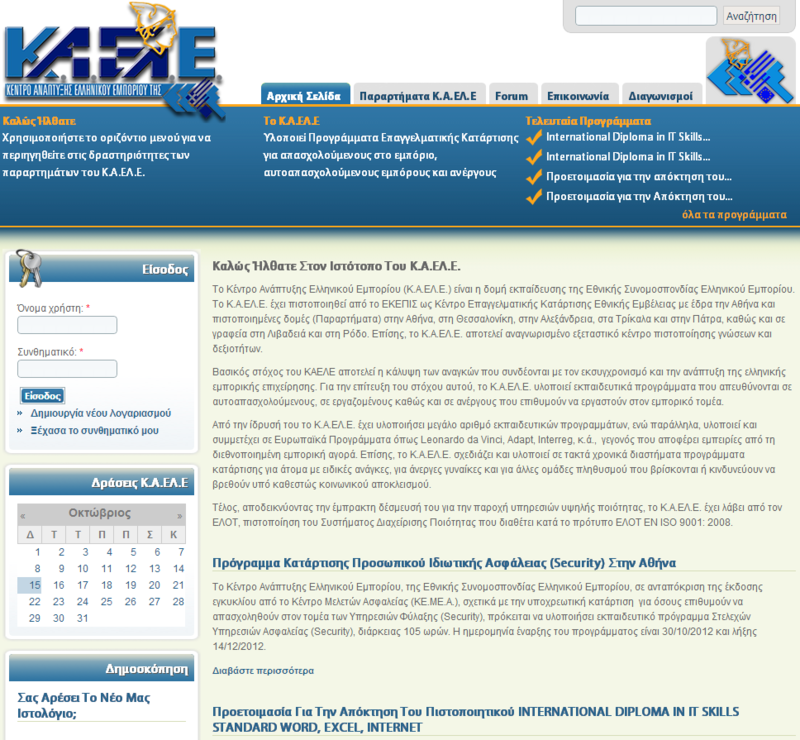 KAELE is a hierarchical organization, comprised of many offices in major Greek cities, all coordinated by the central office in Athens. Each KAELE branch publishes its own announcements and shares information with the central office. Based on Drupal’s taxonomy, a landing page for each branch was created with filtered content. The menu system automatically detects taxonomy terms and creates appropriate menu links. This makes adding or deleting branches effortless for non-admin users. Furthermore, a central, staff-only area was created to host information exchanged between branches. Lastly, using drupals workflow modules, publication workflows were designed that allow branches to add content that is only published by the central branch.